Kiscelli Сastle, Hungary: photos, description, on the map. 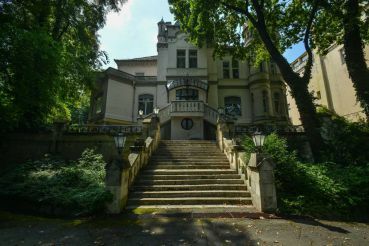 Kiscelli Сastle in Budapest is a small and beautiful palace located on a hill in the Óbuda area, away from the noise of big streets. A nice yellow building is pleasantly distinguished among the greenery of trees. Now it houses exhibitions of the museum of the same name, dedicated to the new history of the Hungarian capital. In place of the present castle in 1726, Count Péter Zichy built a small chapel. In 1738, the monks of the mendicant Trinitarian Order moved here, and in 1744 construction of the monastery was started. The works were headed by Viennese architect Johann Entzenhoffer. The creation of the castle-monastery was completed in 1758. But already in 1784 the emperor abolished the monastic order, and the room was sold at auction to the state. A year later an infantry regiment was located here, the palace became barracks. A little later, in 1806, the building was also equipped with a military hospital. In 1890, the regiment was disbanded and the palace fell into decay. In 1910 he was bought by the Vienna furniture magnate Max Schmidt. In 1914, he reconstructed the palace in the Baroque style and placed his collection of furniture and works of art there. 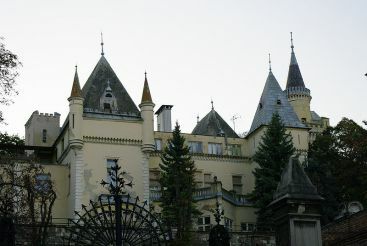 In 1935 the collector died and bequeathed the castle to the state with the condition that there will be a museum here. After the Second World War, in 1948, the Kiscelli Museum was opened in the former palace. Over the following years, the former church was restored and is now used as an art gallery of the museum. The palace building is surrounded by a cozy green park. 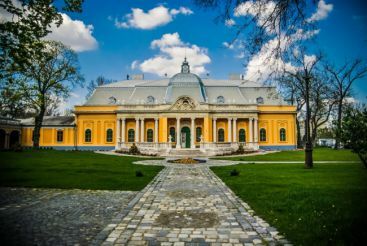 The museum of Kiscelli presents the exhibition of modern history of Budapest, as well as an exhibition of paintings by Hungarian artists of the 19th and 20th centuries. The picture gallery is located on the second floor, here there is an exhibition of dolls, a collection of furniture and interior items of the 19th century. On the first floor there are several interesting permanent exhibitions. Sculpture hall. In a spacious corridor on both sides there are statues of angels and saints who adorn the Holy Trinity Column on the square of the same name near the Buda Castle. Capital Buda. This permanent exhibition opened in 2003. It presents the subjects of various craft guilds from the period 1780-1873, from Buda becoming the capital to the unification of three cities in Budapest. Exhibition of the new history of Budapest. Various exhibits from the period of 1873-1940 are presented here. Trademarks of old Budapest. Modern store signs are often not original, and they are faceless neon signs. In this room signs of shops and trade guilds of the 18-19 centuries are displayed, each of which is a work of art. The Golden Lion Pharmacy. The hall completely recreates the ancient pharmacy of the 19th century in Pest, along with furniture and jars of medicines. Collection of printing presses. Antique printing devices and examples of newspapers made on them are exhibited in the hall. The highlight of the collection is the original printing press on which the "National Song" was created, which became the anthem of the revolutionaries of 1848-1849. Another quiet hall is made in the form of a tomb, and is dedicated to the death of a certain girl, who has not yet been unraveled. You can get here through a bridge with illumination. This is the completion of already interesting exhibits. 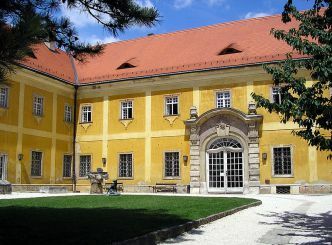 Kiscelli Castle is located in the north-west of Budapest, in Óbuda, on Kiscelli utca 108. Nearby, in the Florian ter, there are some halls of the Aquincum Museum. You can reach the museum by tram routes 17, 19, 41, and bus routes 160, 260, 960. You need to get off at the Szent Margit Kórház stop and walk for about 5-7 minutes. Opening hours: from November 1 to March 31 – from 10:00 to 16:00, from April 1 to October 31 – from 10:00 to 18:00. It is closed on Monday. Phone number (+36) 12500304. Entrance fee: the cost of a full ticket is 1600 Hungarian Forints, with a discount (age categories 6-26 and 62-70) – 800 HUF. For children under 6 and pensioners older than 70, admission is free. Additionally, excursions are offered for groups of 3 to 15 people, in Hungarian (7000 HUF) and English (14000 HUF). Information on March 2018.